Art Morales has an audit, finance and real estate background. He retired in 2016 after 24 years as an investment banker in the municipal finance area, with the objective of business development in Texas, Colorado and New Mexico. Coverage included rapid transit, school districts, higher education, toll roads, airports, water and sewer, housing, tax increment financing, sports facilities, and other city, county and state general purposes. Mr. Morales also has 15 years of domestic and international experience with Exxon (refining and mining operations in California, Texas, Florida, and South and Central America, including two years as Exxon’s first resident audit supervisor in Santiago, Chile) and Superior Oil Company. Mr. Morales’ real estate background focused on apartments, nursing homes, sites for automobile dealerships, and single-family development, as well as a joint venture partner on a national asset management and disposition contract with the Resolution Trust Company, managing more than 700 residential properties in more than 30 states. 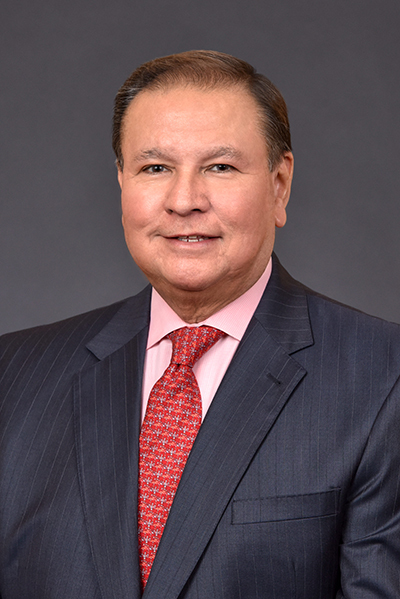 Mr. Morales’ community experience includes serving on housing (City of Houston and Harris County), pension (City of Houston) and transit (Metropolitan Transit Authority, Harris County, Texas) boards, as well as serving on various homeowners association boards. Currently, he serves as a board member with the Harris County Cultural Education Facilities Finance Corporation. A native of El Paso, Mr. Morales received his Master of Business Administration from Pepperdine University and his Bachelor of Business Administration with a major in Accounting from the University of Texas at El Paso.